Not many of us live in the houses of our dreams but we're here to show you how to create that dream-house feeling wherever you live. 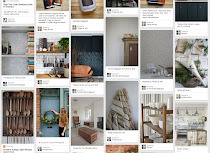 Let's start with your fireplace. As we head into the darker months, a welcoming, warming focal point in the living room is a must and a fireplace provides the perfect opportunity for that. This week and next, we'll be showing you our list of fireplace essentials, which we have sought out for you (those available online are linked to our Relics of Witney website). There are few sights more heart-warming, at this time of year, than walking into a warm room, with a fire already blazing. However, leaving an unattended open fire free to crackle and pop onto your best carpet probably isn't the best idea so we suggest a fireguard: one which is both functional and beautiful. Our favourite, which you can admire here in these images, is extremely sturdy, sectioned by strong hinges into three parts, and forged from cast iron. It has a scrolled pattern which provides much-needed focus when the fireplace is empty, but equally the mesh is delicate enough to be able to see the roaring flames when they are behind the guard. 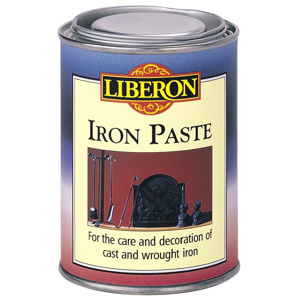 We recommend Liberon Iron Paste for keeping iron looking pristine. It comes in a 250ml tin, and is suitable for all cast or wrought iron fire equipment. If your ironwork is looking rather worse for wear then first clean with Liberon Rust Remover, and follow on by applying the Iron Paste with a small round brush. The paste should be left for 24 hours to dry, then buffed with a grate brush, which is designed to quickly transform the dull, dried paste to a high sheen. Now, when we're still having a few milder nights, is a good time to carry out this task, in time for next month, when fires all over England, will be blazing merrily.